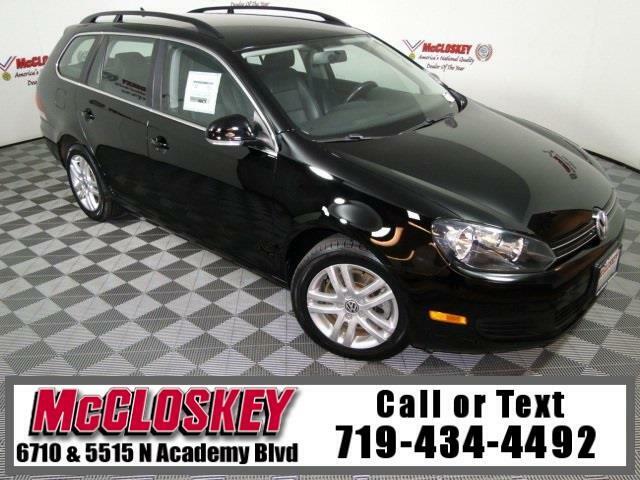 Powerful and ultra low miles 2012 Volkswagen Jetta SportWagen TDI with Heated Leather Seats, Premium Sound System, Premium Wheels, and Diesel Engine! The TDI adds 16-inch alloy wheels (optional on S), upgraded gauges, a leather-wrapped shift knob and steering wheel and a 10-speaker audio system with a touchscreen interface, satellite radio, HD radio, a six-CD changer, an iPod interface and steering-wheel controls. The Sportwagen TDI is powered by a 2.0-liter turbodiesel four-cylinder good for 140 hp and 236 lb-ft of torque. There's also a surprising amount of cargo-carrying capability here, with 32.8 cubic feet of space behind the rear seats and 66.9 cubic feet with the seatbacks folded down.